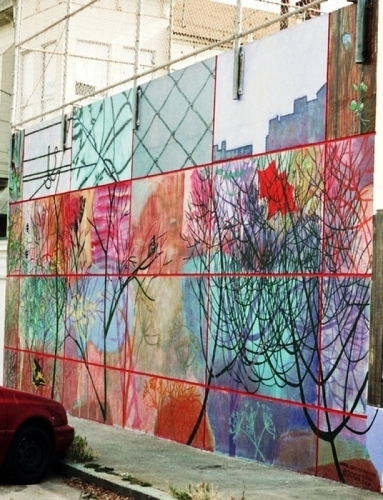 Detail from mural located at 121 San Jose Avenue, San Francisco, CA 94110. Please see the next photos for full views of the mural. 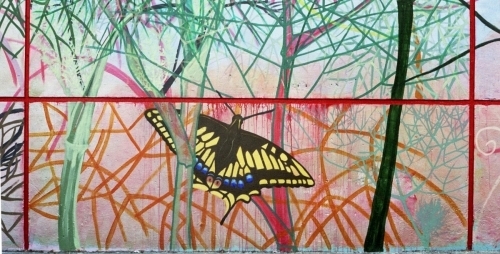 2003 Site-specific public mural showing the life cycle of the Anise Swallowtail butterfly. Acrylic, mica flakes, and glass beads on concrete. 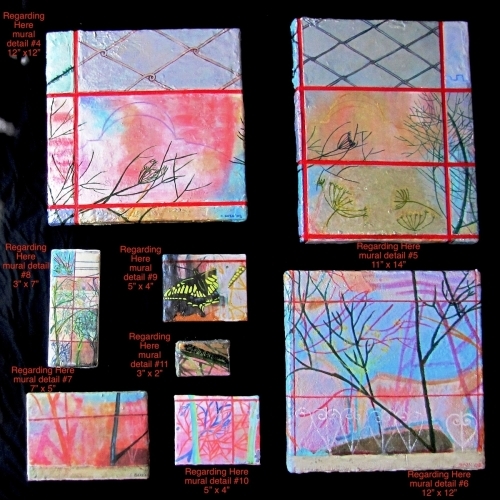 Depicts the urban landscape from a butterfly's perspective. The Anise Swallowtail is a native butterfly who now depends on fennel (an invasive European culinary plant) for its survival. 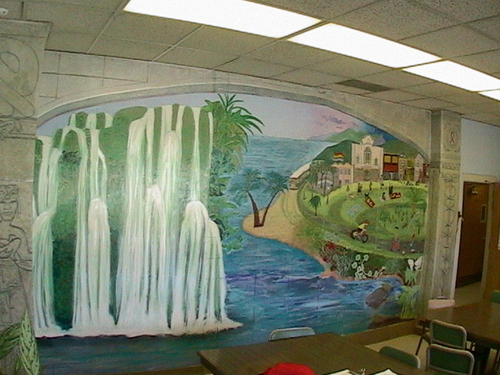 All images in the mural are taken from the immediate area. 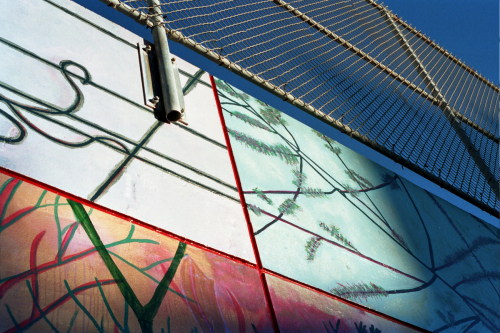 The reflective elements in the paint cause the mural to change in appearance depending on the weather, time of day, and angle from which it is viewed. 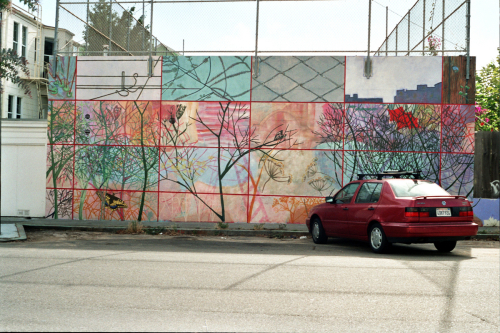 2003 Site-specific public mural showing the life cycle of the Anise Swallowtail butterfly. Acrylic, mica flakes, and glass beads on concrete. 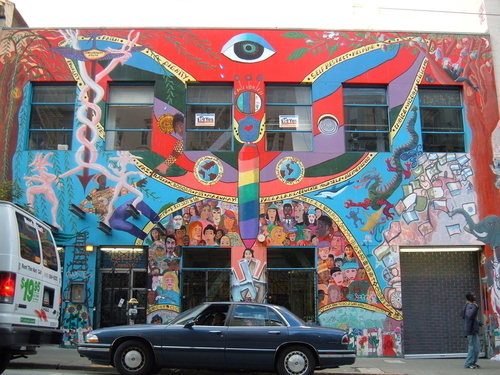 Located at 121 San Jose Avenue, San Francisco, CA 94110. 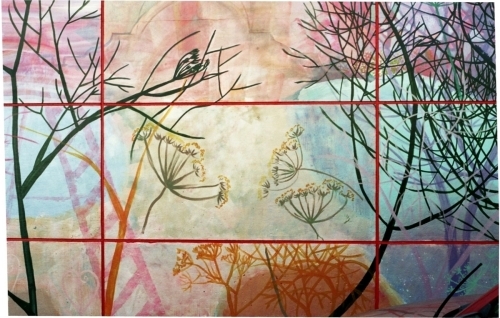 Depicts the urban landscape from a butterfly's perspective. The Anise Swallowtail is a native butterfly who now depends on fennel (an invasive European culinary plant) for its survival. All images in the mural are taken from the immediate area. 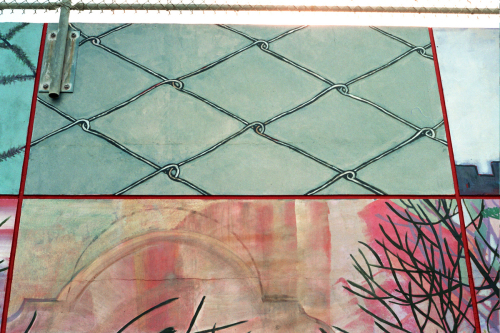 The reflective elements in the paint cause the mural to change in appearance depending on the weather, time of day, and angle from which it is viewed. 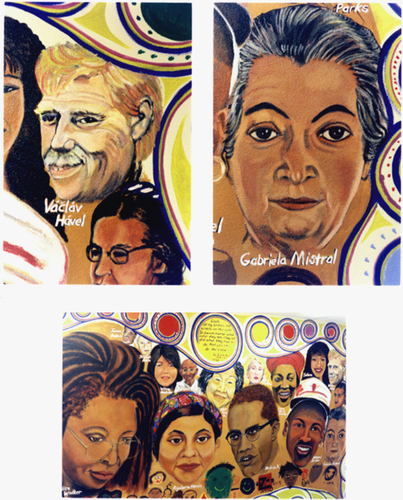 Community mural in the Castro Mission Health Center. Funded by McKessson; sponsored by Precita Eyes Muralists. With input and participation of health center staff. Acrylic on interior wall of children's room in family support center, Tenderloin, San Francisco.